Explore DeedNetwork's features designed for painless deed preparation and fast recording. Use our easy to use calculator to determine recording fees, transfer taxes and other hidden fees counties charge to record documents. 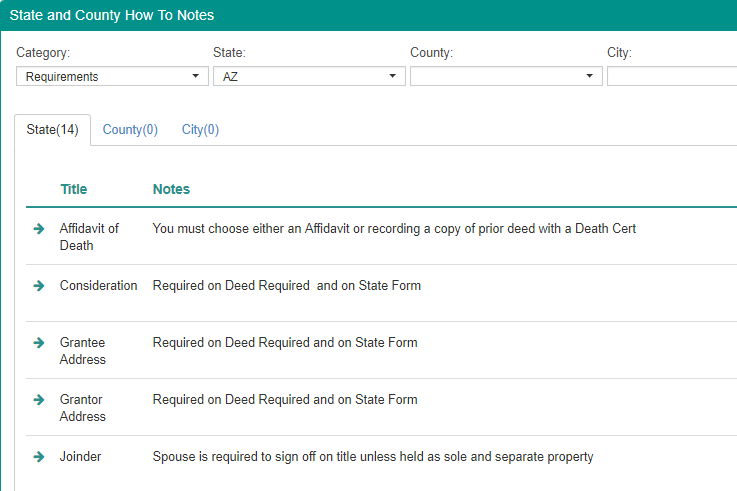 Access all available state and county forms you will need to submit with your deeds at time of recording. 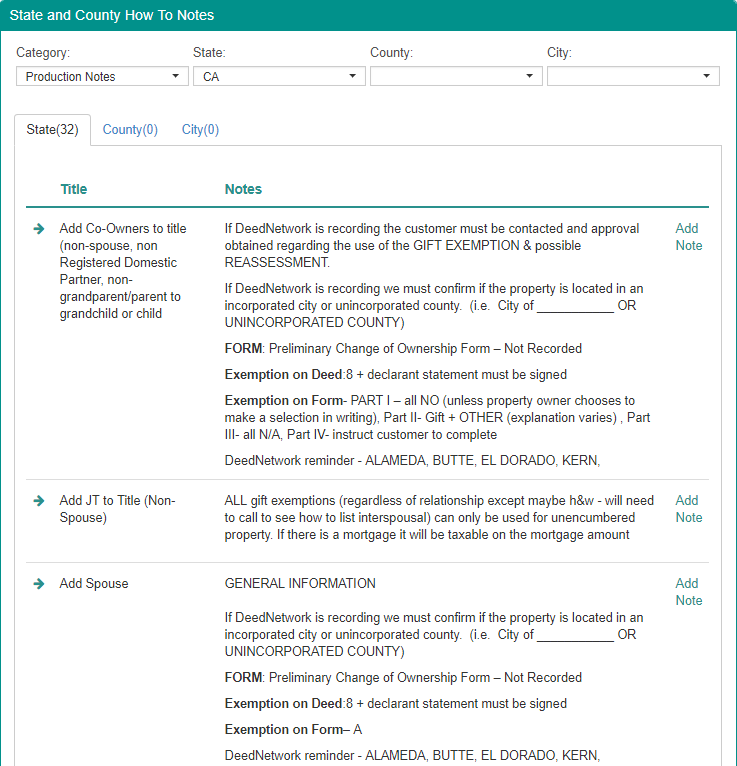 Benefit from our two decades of preparing and recording deeds by using our private notes on the “How To’s” for each county. There are 3,600 counties in America and we share the latest news and updates with you in our searchable database. Check out each state’s specific rules on what has to be included on a deed, otherwise it will be rejected and not recorded. Which is better? Community Property or Joint Tenancy? Not sure, use our notes to see what options are available to use. county approved exemptions to reduce or eliminate taxes on transfers. Removing a deceased party from a deed can be tricky and we have helpful information on what documents and language to use. Industry leading deed preparation options. Need help having a deed prepared for you? 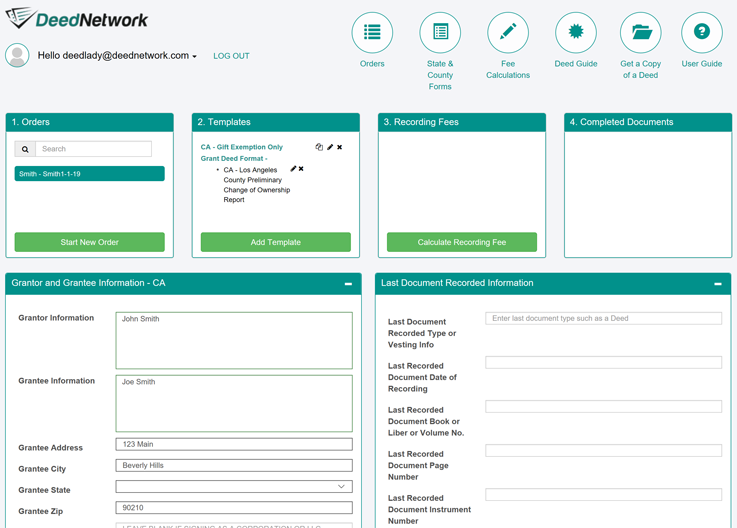 DeedNetwork offers a full‐service deed preparation and recording option to deliver ready to record deeds in hours. Use our advanced UPL compliant deed templates to prepare any deed for any state and county in minutes. Let us take your documents and turn them into useable templates for you to use in our cloud‐based solution.